Professor Craig Elliffe is a leading tax practitioner, and the author of several critically acclaimed books in the field of international tax, corporate tax and tax avoidance. Professor Craig Elliffe specialises field of international tax, corporate tax and tax avoidance. He is the author of International and Cross-Border Taxation in New Zealand (Thomson Reuters), which was awarded the JF Northey best law book award in 2015, and Dividend Imputation: Practice and Procedure (Lexis) and has written numerous articles and other materials on tax. International and Cross Border Taxation in New Zealand received critical acclaim in the United Kingdom, Australia and New Zealand and was awarded the JF Northey Prize by the Legal Research Foundation for the best law book published in New Zealand in 2015. 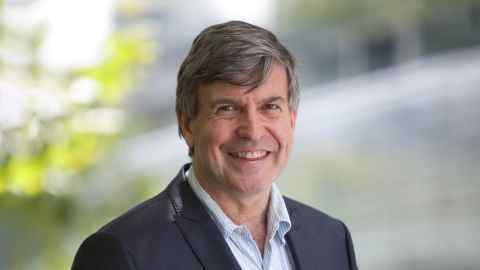 His articles have appeared in leading international refereed journals including the British Tax Review and the Australian Tax Forum and he is a member of the Permanent Scientific Committee of the International Fiscal Association, the only New Zealander appointed in 80 years. Last year he was awarded a PhD from Cambridge University. Most recently, Craig’s research has been shortlisted for the Frans Vanistendael 2017 Award for International Tax Law. This is one of just six research papers nominated for the world’s best international tax research. He is listed in Chambers and the International Tax Review as a leading tax practitioner. He is the Director of the MTaxS programme (the leading postgraduate tax course in New Zealand). He is a member of the Government's Tax Working Group (2018/19).